You probably know the Old El Paso brand from their boxed taco kits and other Mexican dinner favorites. But did you know that Old El Paso had a line of frozen entrees? Mornings can be quite hectic. It’s hard enough to get yourself up and ready to start the day, much less your kids. And it is even hard to get everyone to the table for breakfast. Aunt Jemima is here to help with their frozen pancakes, French toast sticks, and other breakfast selections. The goal of Aunt Jemima frozen breakfast is to deliver every batch just like you’d make it yourself. Breakfast really is the most important meal of the day, and Aunt Jemima frozen breakfast knows for moms, starting her family out with a warm breakfast makes the morning, and the entire day, even more special. Personally I love pancakes! My dad used to make them every Sunday when I was growing up, but quite honestly, even if I have the time, I don’t love the idea of standing over a hot griddle for a long time, so a good frozen option is perfect for me. They take only about 30 seconds to cook, which is great if you’re in a hurry, or if you decide to have breakfast at the last minute. And they still come out light and fluffy, and they taste just as good as homemade. I shopped around in my area for the Lil’ Griddles line because I was especially excited to try their mini pancakes. 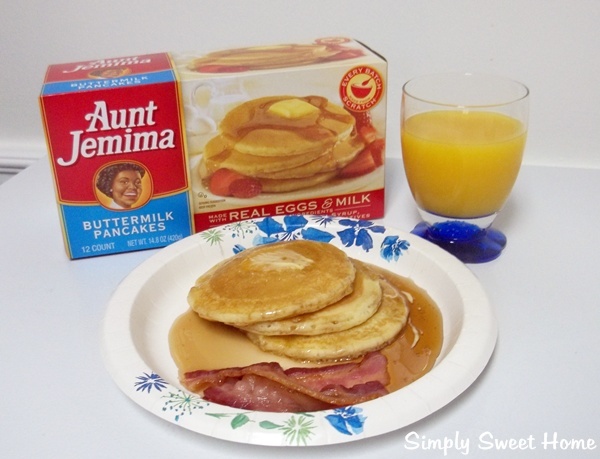 My dad used to make me “silver dollar” pancakes when I was little, and I felt the Lil’ Griddles Mini Pancakes would bring back those memories, but since I couldn’t find them, I purchased a box of the regular size Aunt Jemima Buttermilk Pancakes. And they were just delicious and tasted like they were made from scratch! I defiinitely recommend the Aunt Jemima frozen breakfast products to anyone looking for a fast, yet fresh and delicious as homemade option for breakfast! It’s difficult to find meals that are fast, convenient, delicious, and healthy, especially when you are trying to feed kids. 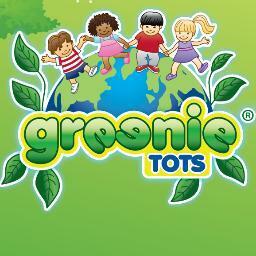 Greenie Tots is a line of microwaveable meals that satisfies all these requirements. 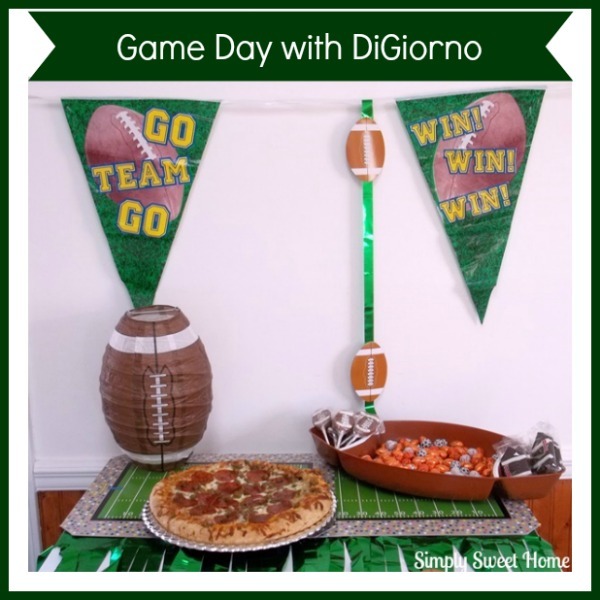 Their meals can be prepared in 5 minutes are less. Each is 100% meatless and contains no artificial colors or flavors and no high fructose corn syrup. I got two try a couple of Greenie Tots entrees. I selected Cauliflower Rice with Chik’n and the Mac and Cheese with Peas. Both were delicious! The Cauliflower Rice with Chik’n. It contains a soy-free meatless chick’n that, in my opinion, tasted just as good as the real thing. 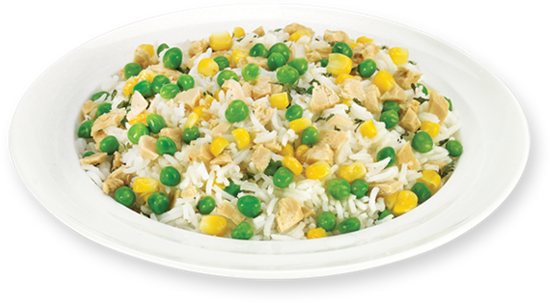 And it had a great mixture of long grain white rice and vegetables. If you are a fan of stir-fry, I think you would love love this. I didn’t even season mine, because the flavor was so good I didn’t see a need. And it was also a good portion size for me. As for the Mac and Cheese with Peas, I liked it as well. The Mac and Cheese was especially good! It is made with a blend of five organic cheeses and milk, and it tasted just as good as other mac & cheese products I’ve bought in the past. 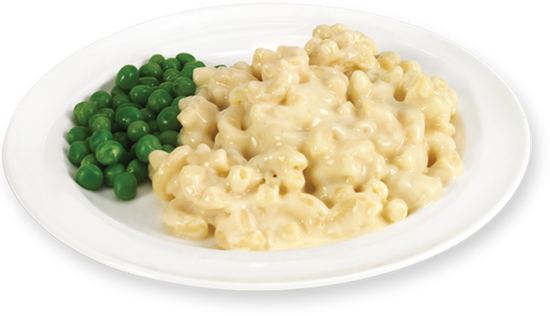 As for the peas, I did season those a bit, to give them a little bit of flavor, I thought they were a great compliment to the Mac & Cheese, and I think kids will love this meal. I think the other selections looks great as well. For instance, I’d love to try the quesadillas! Which meal would you like to try? And what’s most important to you when you’re shopping for frozen entree? Flavor? Healthy? Kid friendly? Price? Something else?